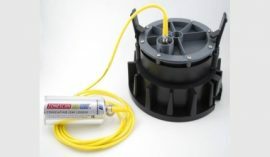 Acoustic leak detection system based on hydrophone sensors: The combination of hydrophone technology and the know-how of the GUTERMANN ZONESCAN product range produces a performance for acoustic leak detection never attained before for unmanned, permanent systems. 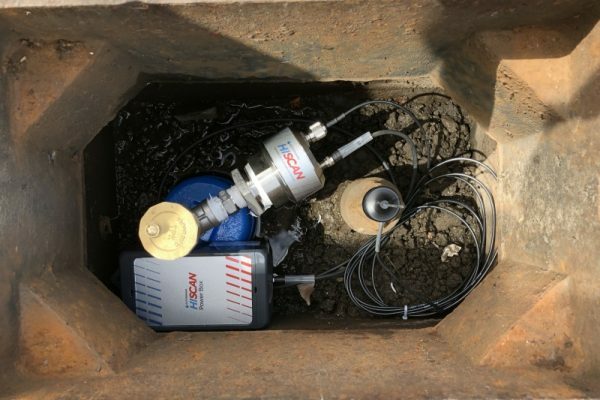 Large amounts of data collected from sensors spaced several hundred meters apart and the ability to correlate between measurement points allow for optimised leak noise analysis and accurate pinpointing of identified leaks. 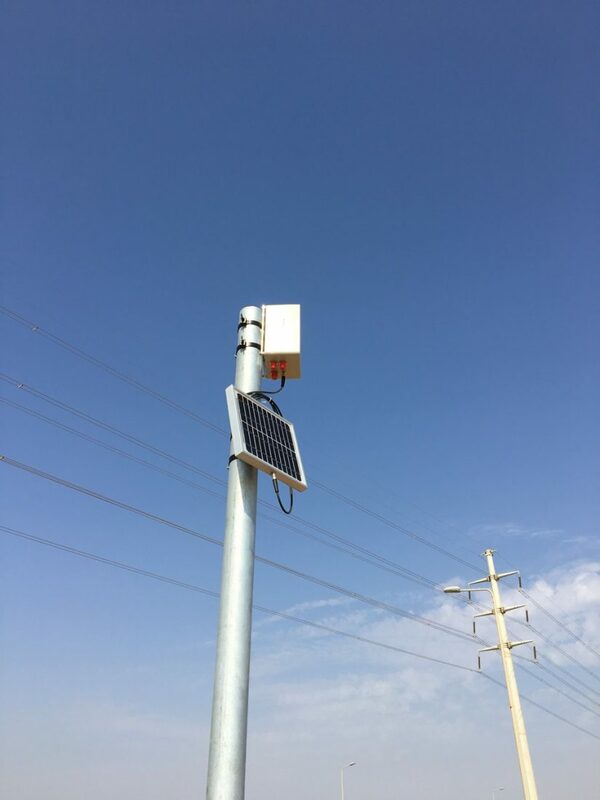 HISCAN has its main focus of application on trunk mains with large diameters, but also plastic pipe networks (PE, PVC) can be monitored effectively. Advanced signal processing for large diameter & plastic pipes: The recorded sound signal of every sensor is transmitted to a central server through GUTERMANN’s proprietary transmission technology based on latest IOT technologies. Data on the server is then automatically analysed using a new generation of special algorithms. A vast variety of options are available to the user to further improve the results provided by the system: adaptive filtering, time-line analysis and optimised filters for different materials and diameters of pipes. All of GUTERMANN’s know-how of over 50 years in acoustic leak detection will allow you to find the most difficult leaks in your network. Store and display data on GUTERMANN CLOUD for remote access and advanced reporting: All data recorded by the sensors is stored on the GUTERMANN CLOUD for future access. Joint platform for other GUTERMANN products you might use, e.g., ZONESCAN ALPHA; EASYSCAN or MULTISCAN. 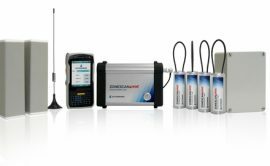 The highly optimised interface which is being used by many leak detection specialists around the world is at your disposal. Easy expert-system supported filtering or highly specialised detailed analysis in collaboration with our own specialists The choice is yours. 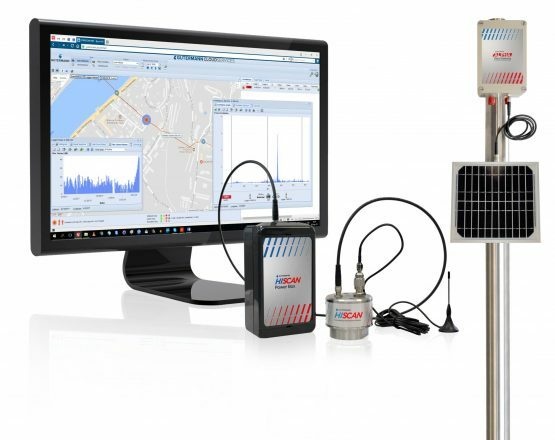 Optimise usage with world renowned ZONESCAN product range: If you are already a user of the ZONESCAN product range, the introduction to HISCAN will be easy for you. Using the same interface and functionalities, it is now optimised for the new task at hand which requires more data for signal processing and advanced data analysis and reporting to allow you to fully control all leakage occurrences in your network. First-time users will find that HISCAN is ideally complemented by other correlating sensor products by GUTERMANN to allow you to cover all your leak detection needs with one monitoring system platform, both on the distribution and on the transmission pipes.